This entry was posted in Fonts In-Use, Handwriting & Script fonts and tagged Casual font, FF Eggo, Fontfont, Handwriting font, Script Font on May 19, 2015 by alt.TYPE. The Neue Haas Unica™ family is a reimaging of the 1980s Haas Unica design, a suite of typefaces intended to be an updated alternative to the Helvetica® family. While Neue Haas Unica’s design foundation is firmly based on the earlier version, it has also been restructured for current imaging technologies. 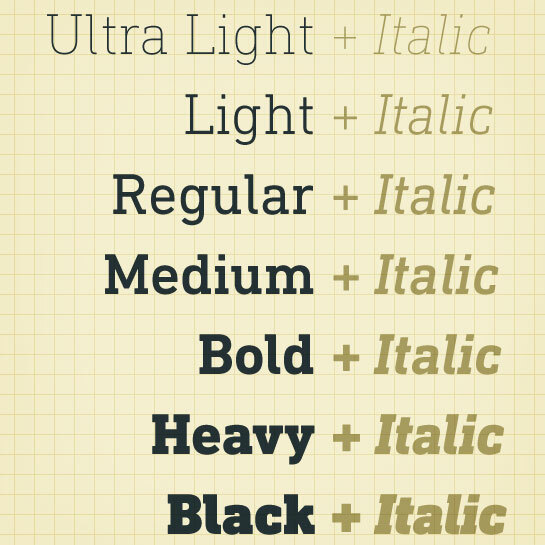 Neue Haas Unica has a total of nine weights, from Ultra Light to Extra Black. With its resolute clarity and excellent typographic support, Neue Haas Unica is suitable for use in a wide range of new contexts. The light and elegant characters can be employed in the large point sizes to create, for example, titling and logos while the very bold styles come into their own where the typography needs to be powerful and expressive. The medium weights can be used anywhere. This entry was posted in Font Highlight on April 10, 2015 by alt.TYPE. Lee Kuan Yew, Singapore’s first prime minister, died on Monday aged 91, triggering a flood of tributes to the man who oversaw the tiny city-state’s rapid rise from a British colonial backwater to a global trade and financial center. Lee had receded from public and political life over the past few years, but he was still seen as an influential figure in the government of Prime Minister Lee Hsien Loong, his oldest son. In his lifetime, Lee drew praise for his market-friendly policies but also criticism at home and abroad for his strict controls over the press, public protest and political opponents. He died at 3:18am local time (3:18 p.m. EDT) at Singapore General Hospital, where he had been admitted on Feb. 5 suffering from pneumonia. *Reuters pictures are rights-protected and may not be published without permission. 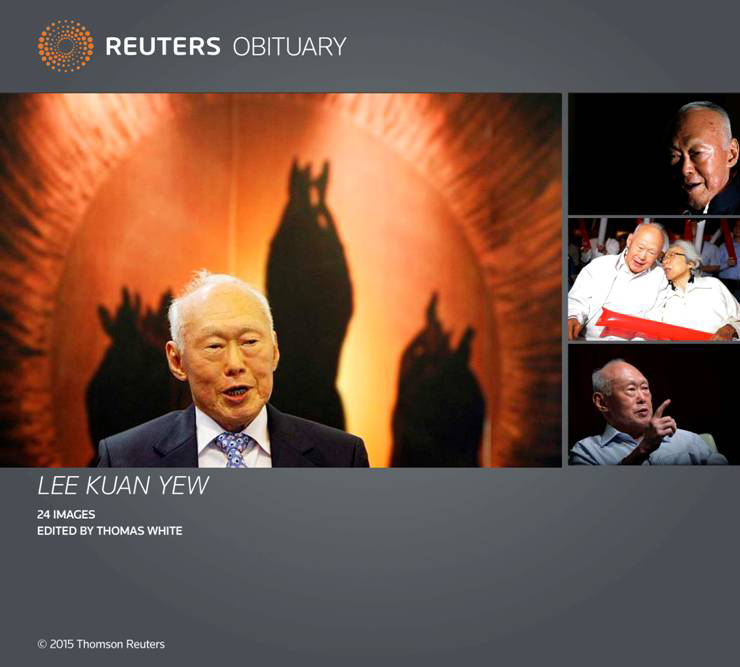 This entry was posted in Reuters Pictures and tagged First Prime Minister, Lee Kuan Yew, Reuters, singapore on March 23, 2015 by alt.TYPE. An addition to a stalwart superfamily, the characters in the Din Next Slab typeface designs echo the underlying shapes, proportions and industrial precision of the popular DIN Next family. Character shapes remain simple and counters open, ensuring high levels of legibility. 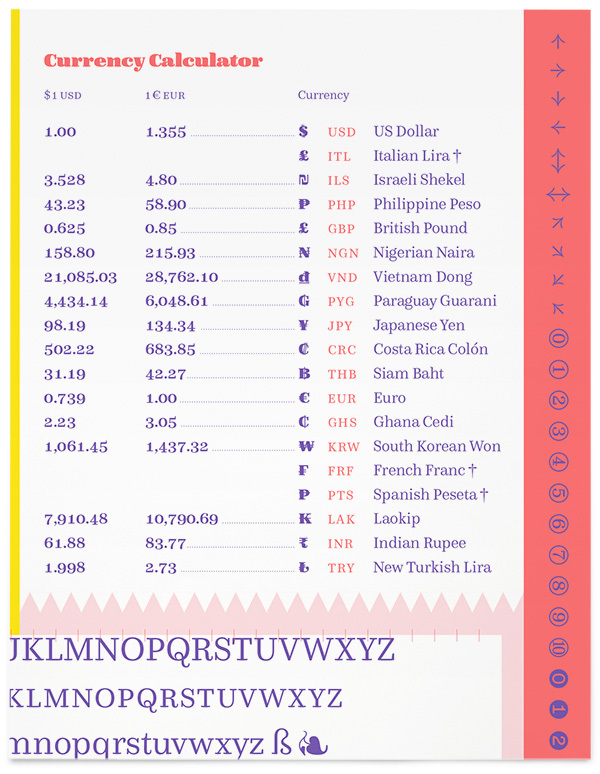 The fonts also contain OpenType® features that can replace the default characters with special “legibility” designs, such as the 7 with a crossbar and zero with a slash. DIN Next Slab has seven weights, which cover the range from Ultralight to Black, each with matching italic. There are various character sets in all of the styles and the four middle weights have small capitals available. The original shapes of the DIN typeface originated about 100 years ago, at the beginning of the 20th century. They were first used for locomotives and, a bit later, for signs in train stations. Designed by engineers, the DIN typeface is, above all, easily reproduced mechanically. To free the DIN typeface of its numerous typographic shortcomings and provide it with suitable features for graphic applications, DIN Next was created in 2009 under the direction of Akira Kobayashi at Linotype. 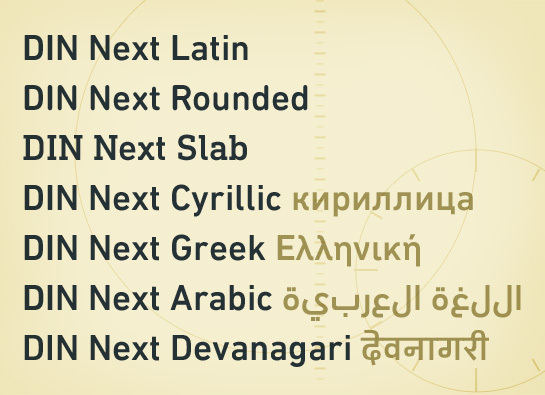 DIN Next has seven weights, italic styles, small capitals and medieval characters. Now comes the next step, DIN Next Slab, which Kobayashi created with team members Sandra Winter and Tom Grace. This new font variant design is based on the optimized shapes of DIN Next. DIN Next Slab harmonizes perfectly with the styles of DIN Next: the basic letterforms and weights are identical. Both versions of the font can work together perfectly, not just in headlines and body text, but also within a text; they complement each other very well as design variations. This entry was posted in Font Highlight and tagged alt.TYPE fonts, Din Next Slab, Linotype, Monotype on November 12, 2014 by alt.TYPE. In collaboration with Adrian Frutiger, Thai font designer Anuthin Wongsunkakon has expanded Neue Frutiger Neue Frutiger with a Thai variant. The Thai characters are available in traditional and modern style. According to the font designer Anuthin Wongsunkakon, the Frutiger Thai fonts are multi-purpose: one has terminal loops, the other does not. The two alternative letterforms result from their observations of current and former trends in Thai typography, as well as a desire to create fonts that complement the minimalist of the Latin Frutiger. For type work that involves mixing Thai and English scripts, Frutiger Thai provides designers with the convenience to either set a Thai font with loops, or one without, alongside the sans serif Frutiger. The traditional-minded compositors, who believe that Thai body text is the sole domain of loop terminals, may go for the loops; while those with a modernist outlook may opt for the loop-less face. To view more Thai fonts, click here. This entry was posted in Thai Fonts and tagged alt.TYPE, Linotype, Neue Frutiger, Thai font on September 29, 2014 by alt.TYPE. With Bradley Texting, Richard Bradley has published another calligraphic typeface that recalls the style of Bradley Hand and Bradley Type. In this case, however, Bradley has advanced the style with clearer forms for display on electronic instruments and on other formats. The letters for Bradley Texting began with a marker on paper. The somewhat narrow and dynamically designed letters have round line ends, like those left by a felt-tipped pen. As a hand-written print font, the individual letters are not connected to one another. Nonetheless, they demonstrate the influence of a written font, such as the extended ends and the flowing transitions. Clear forms with open counters and a large x-height guarantee Bradley Texting good legibility in the smaller font sizes. Bradley Texting is also effective under more challenging conditions, such as on mobile phones, e-book readers or tablets; the fonts friendly and lively character comes through. With Regular, Semibold and Bold, Bradley Texting is adequately equipped for use as a headline or text font in various sizes. Use the dynamic and clear forms of Bradley Texting anywhere you need a friendly character with a personal accent. Bradley Texting is persuasive in the print realm, in advertisements or on posters, as well as on electronic devices. This entry was posted in Font Highlight, Handwriting & Script fonts and tagged Bradley typeface, Calligraphic font, handwriting, Linotype, Monotype on August 26, 2014 by alt.TYPE. 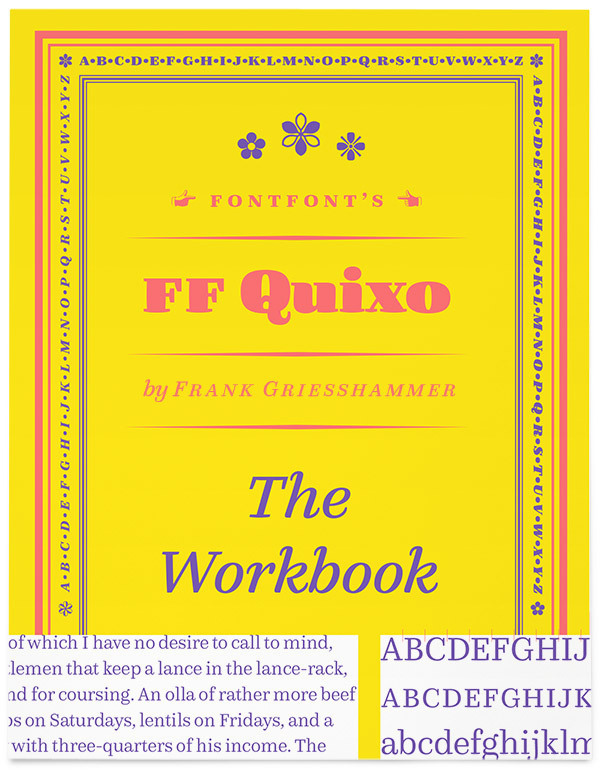 FF Quixo – a pleasant companion for any kind of advertising or packaging application. German type designer Frank Grießhammer snapped his fingers and dipped his brush into a bottle of ink, thereafter FF Quixo was born ! The name “Quixo” is an onomatopoeic exaggeration. The word comes directly from the sound of dipping a brush into a bottle of ink. Also, it is the sound of that same bottle, dropping on the floor: “Quix-O!!”. 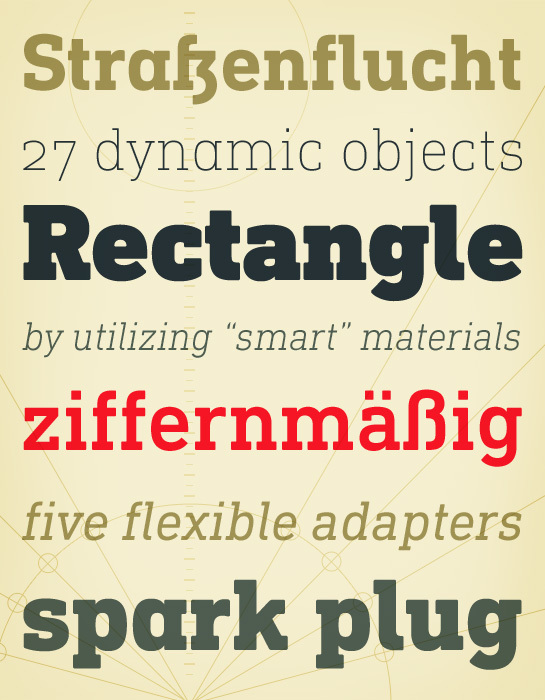 FF Quixo is a tool-based typeface family, based on the contrast of the pointed pen. Its diverse spectrum of 12 styles (6 weights with Roman and Italic in each) are suitable for compact and concise passages of text. 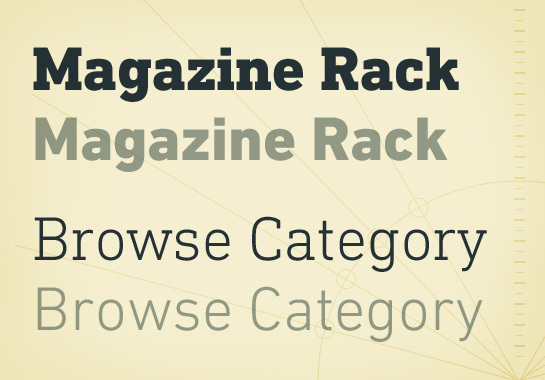 FF Quixo plays on various sides of creative type – headline and text, bold and fine. It is a typeface that can show a playful side without looking goofy and is equipped with all the features and considerations necessary to produce complex typography. This entry was posted in Fontfont and tagged FF New Release 65, FF Quixo, Font for advertising, Font for packaging, Fontfont on January 21, 2014 by alt.TYPE.